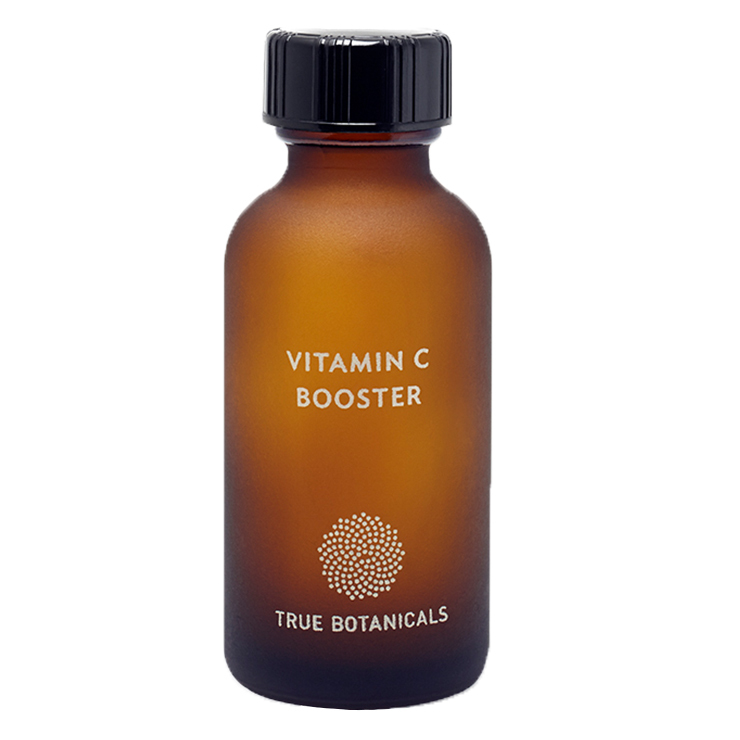 Add some oomph to your favorite facial serum with True Botanicals Vitamin C Booster. Designed for those wishing to address signs of sun damage and aging skin, this powder formula is comprised of vitamin C to give skin a brighter, revitalized look. Ferulic acid is rich in antioxidants to lend a feel of protection against environmental damage. Simply add to facial mist, serum, or water for an instant vitamin C skincare treat. Especially beneficial in lightening the appearance of dark spots and improving the look of sagging skin. Add 1-2 shakes of booster to 2-3 pumps of your favorite facial serum or mist, and apply to face, neck and chest as part of your nighttime skincare routine. May also be used in water for a simple vitamin C spritz. L-Ascorbic Acid (Vitamin C), Ferulic Acid.